VIDEO: So Funny! AwesomenessTV Presents “50 Shades Of Bae”, A Parody! We’re sure you’ve heard of the book and film called Fifty Shades Of Grey. But what about Fifty Shades Of Bae? In an amazing spoof from AwesomenessTV, Meg DeAngelis and Beau Brooks parody the hot new film of the year, creating a trailer that dives into the world of crazy relationships. While Beau seems delighted by his Bae’s tastes, he learns there are many shades to a relationship, but come on now! Isn’t one shade of crazy enough? Check out this funny spoof trailer below and let us know what you think! 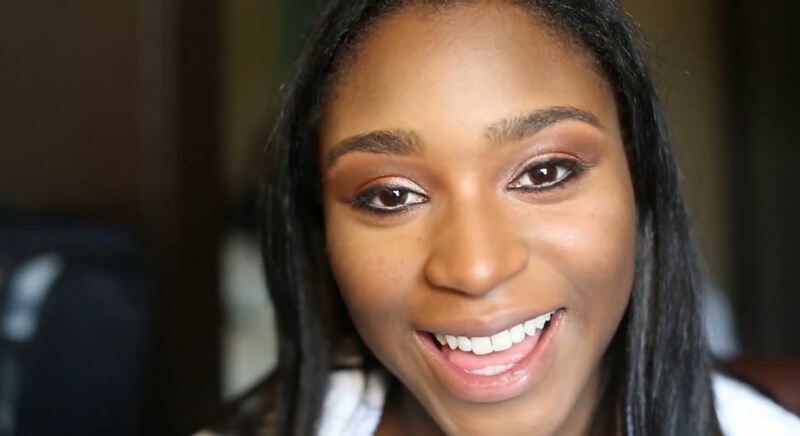 Fifth Harmony’s Normani Shares Her MakeUp Routine In New ‘Fifth Harmony Takeover’ – Watch Here! In an all new episode of Fifth Harmony Takeover, Fifth Harmony member Normani shares some of her own makeup tips and tricks with her fans to get a look just like her! When you are always moving around like Normani who has to dance and sing on stage for hours, it is important to have your makeup last as long as possible. Be sure to check out Normani’s makeup routine by watching the video below! TRAILER: AwesomenessTV’s ‘Expelled’ Film Debuts Globally On Netflix February 1st! Following its successful release across theatrical and multiple digital platforms, AwesomenessTV’s action-packed comedy film Expelled will make its global debut on Netflix February 1. The feature length film stars Cameron Dallas and a roll call of social media stars including Andrea Russett, Lia Marie Johnson, Marcus Johns, Michelle Glavan, Teala Dunn, and True Jackson, VP actor Matt Shively. 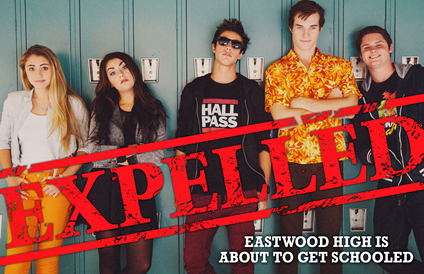 AwesomenessTV partnered with Twentieth Century Fox Home Entertainment to make Expelled available on Digital HD across all Digital stores including Amazon Instant Video, Comcast, Google Play, iTunes, Target Ticket and VUDU and worked with digital platform VHX to power the direct to consumer release on ExpelledMovie.com. Expelled is rated PG-13! Check out the official trailer for the hit film below if you haven’t already! 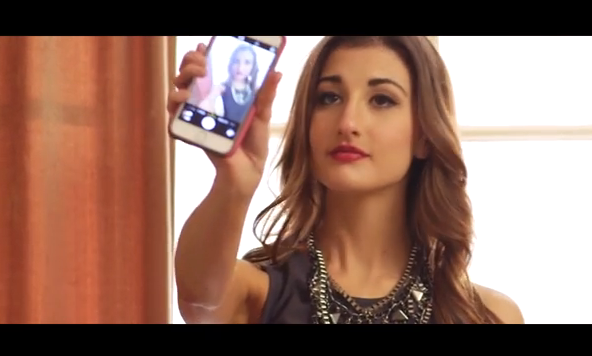 VIDEO: Lia Marie Johnson Premieres “Moment Like You” Music Video! Los Angeles based singer/songwriter Lia Marie Johnson is released the video for her debut single “MOMENT LIKE YOU” just today, January 9th. The song appears in the popular teen movie “Expelled” in which she also plays “Katie” the love interest of “Felix”(Cameron Dallas). After a limited theatrical release, the film reached #1 on iTunes just one day after its online release. Lia’s song “MOMENT LIKE YOU” was also released on December 16th, it hit the #6 spot on the electronic charts. The Song Is produced by The Touchtone5. “MOMENT LIKE YOU” is a fresh twist about the roller coaster of young love. “When writing the song, I was thinking about how when you find someone you really like, you just want to be with that person, Lia told us. “MOMENT LIKE YOU” was co-written by Lia for the movie Expelled. Lia is an 18 year-old from San Diego who began acting and singing at age 10. She is a recurring cast member of the Nickelodeon sketch comedy series “AwesomenessTV” and starred in last summer’s “Terry the Tomboy” movie based on a character from the show. She became an online personality through a number of popular web series including “Kids and Teens React”. Her recent project is a Nick Cannon/Fine Brothers production called “React to That”, which premiered on Nickelodeon in December. Lia is in the studio working on her album that will be released later in 2015. Check out “Moment Like You” below and make sure to grab it on iTunes now! 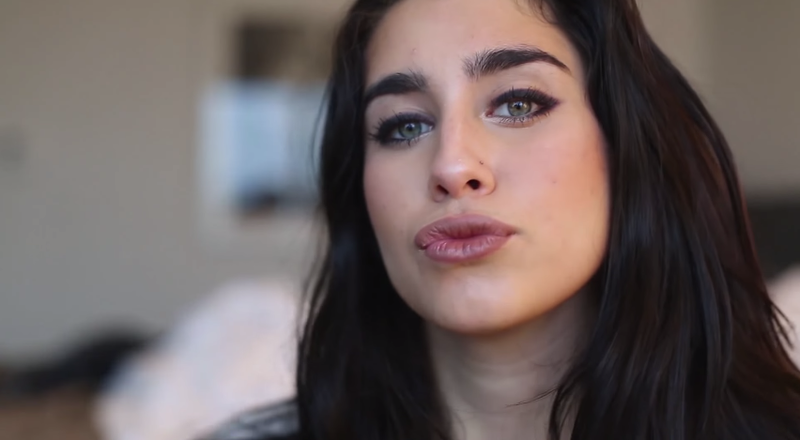 Fifth Harmony’s Lauren Jauregui Shares Her MakeUp Routine In New ‘Fifth Harmony Takeover’ – Watch Now! Ladies, get your pens and papers ready because Fifth Harmony member Lauren Jauregui is sharing her awesome make up tips and tricks in an all new episode of Fifth Harmony Takeover. In the video, Lauren gets her make up done by a professional but the routine is simple enough to do it yourself at home. Check out some of the things Lauren had to share by watching the video below! Josh Leyva attended the Scene@AwesomenessTV store opening in Los Angeles on November 12th. Josh along with many online stars will have their own clothing line available for purchase as well as AwesomenessTV merch. The store will be open now until the end of December and will also feature items that can be personalized and custom-designed. Not only will it be a retail store, but also a location for meet-ups, filming, and special events. We caught up with Josh in an exclusive interview were he gave up all the scoop on fashion tips, holiday plans, and much more! Be sure to check out the interview down below and head down to the Scene@AwesomenessTV store located at 428 Fairfax Ave! Fifth Harmony’s Camila Cabello Shares Her MakeUp Routine In New ‘Fifth Harmony Takeover’ – Watch Now! 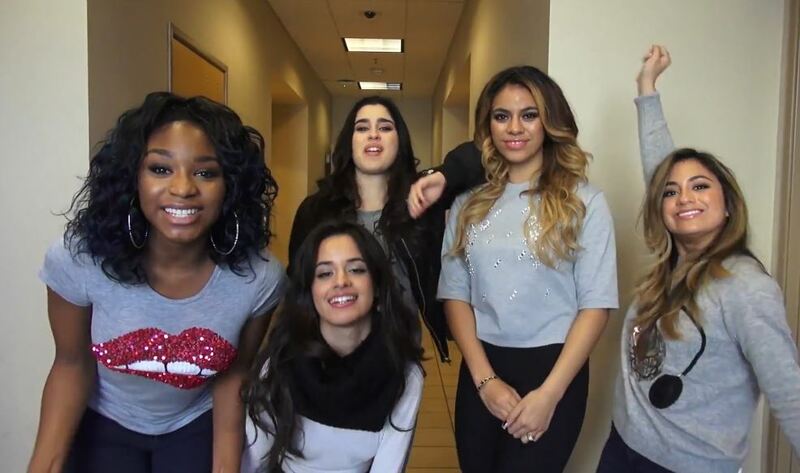 There is no doubt that all the ladies of Fifth Harmony are beautiful – with or without makeup. However, girls like to wear makeup and play with makeup so in an all new episode of Fifth Harmony Takeover presented by AwesomenessTV, Fifth Harmony member Camila Cabello shares with us her makeup routine and her typical stage makeup look. Her look is subtle and gives her a more natural look but it is still gorgeous. Be sure to check out Camila’s makeup tips and tricks by watching the video below! . Teala Dunn attended the Scene@AwesomenessTV Store Opening in Los Angeles on November 12th. Teala along with many other stars will have their own clothing designs available at the retail store as well as AwesomenessTV merch. The store will be open now until the end of December and will also feature items that can be personalized and custom-designed. Not only will it be a retail store, but also a location for meet-ups, filming, and special events. We caught up with Teala in an exclusive interview where she discussed the concept behind each design, fashion inspirations, and much more! Be sure to check out the interview down below and stop by the store located at 428 Fairfax Ave.
Alli Simpson attended the grand opening of the Scene@AwesomenessTV store in Los Angeles on November 12th. Alli along with many other stars will have their own clothing line available for sale as well as AwesomenessTV merch. The store will be open now until the end of December and will also feature items that can be personalized and custom-designed. Not only will it be a retail store, but also a location for meet-ups, filming, and special events. We caught up with Alli in an exclusive interview during the grand opening wear she explains her fashion inspirations, holiday plans, and much more! Be sure to watch the interview down below and check out the retail at 428 N Fairfax Ave!